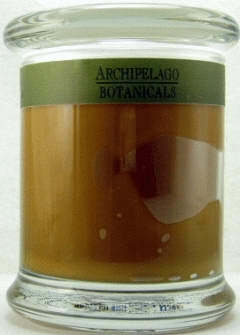 This long-lasting candle is hand poured in an apothecary-style glass jar with matching lid. Featuring the finest lead free wicks, waxes and complex essential oil blends from Archipelago each Goddess Collection candle offers a distinctive scent and color. Venus is a sensual blend of Sweet Basil, Rosemary and Eucalyptus inspired by the Goddess of Sensuality in a ochre colored candle. Sign-in or Create an Account to earn 98 points for this item. See Rewards Page.